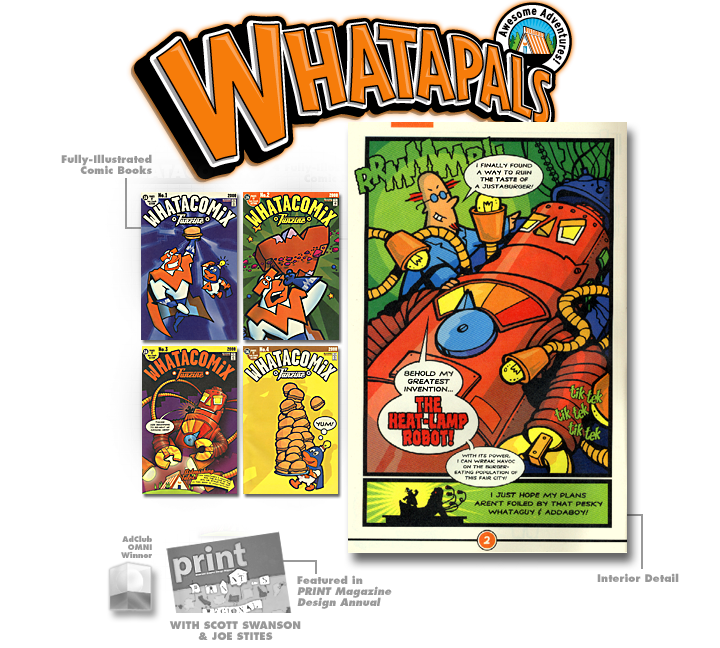 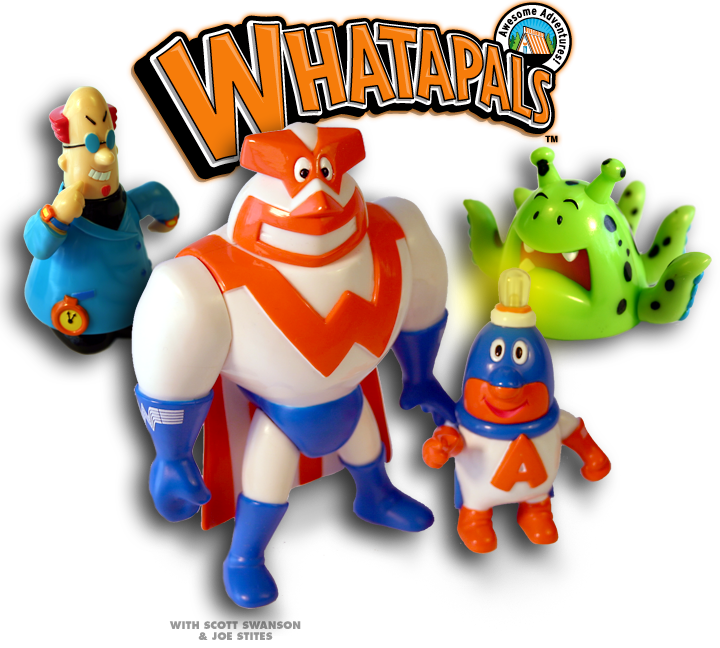 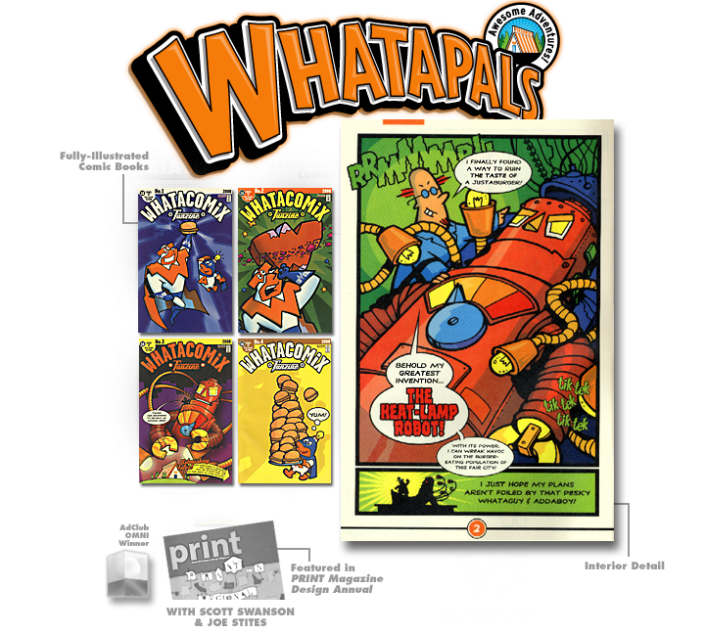 Created the characters and design for Whataburger’s children’s program, “The Whatapals,” with Scott Swanson and Joe Stites. 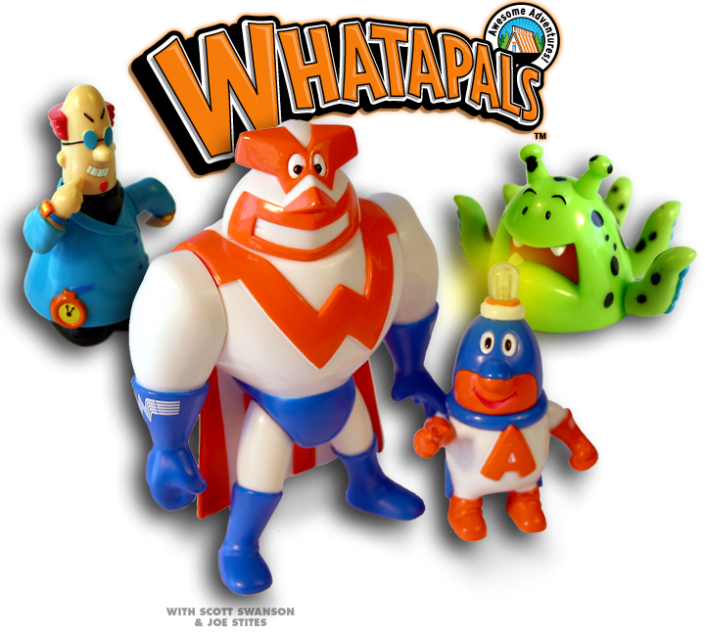 The characters include Whataguy, Addaboy, Justalien and the evil Dr. Stale. 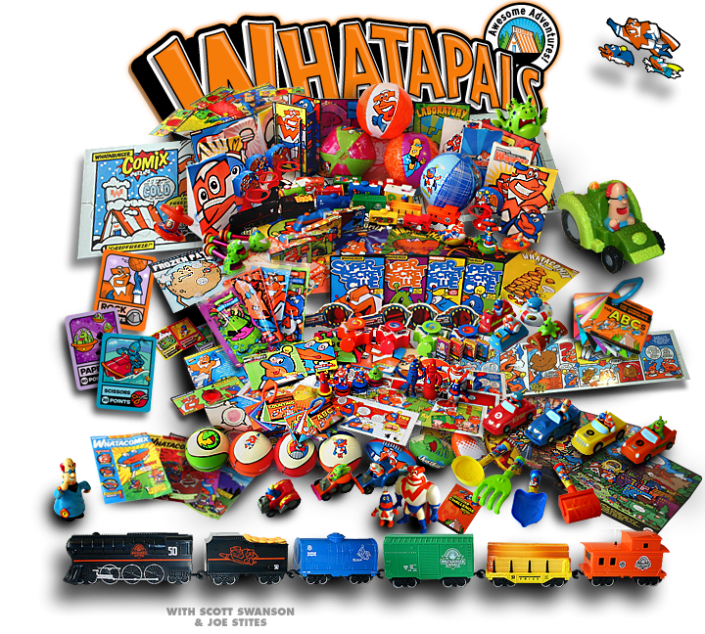 Throughout the years of work, with a different premium every month, hundreds of toys were created including comic books, action figures, cars, games, puzzles, websites, in-store signage, life-sized costumed character and beyond.